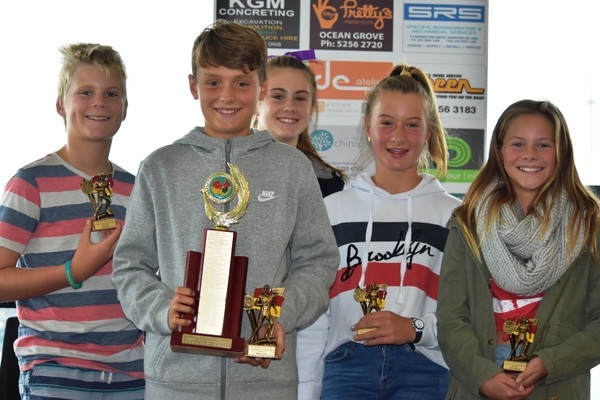 Ocean Grove Surf Life Saving Club Junior Nippers celebrated their end-of-season-awards presentation day in fine style on Sunday 20 May. 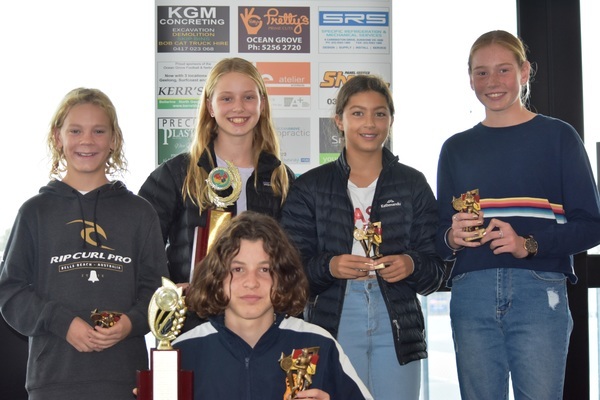 The club’s outstanding Nippers were crowned State champions at the Life Saving Victoria Junior Championships held at Warrnambool in March. Up to 150 people attended the awards ceremony including enthusiastic Nippers, age group managers, coaches and family members to recognise its state achievement honour and individual accolades during the 2017/18 summer held at Shell Road sports pavilion. The OGSLSC clubrooms were unavailable with works commencing on its multi-million dollar building renovation which began earlier this month. 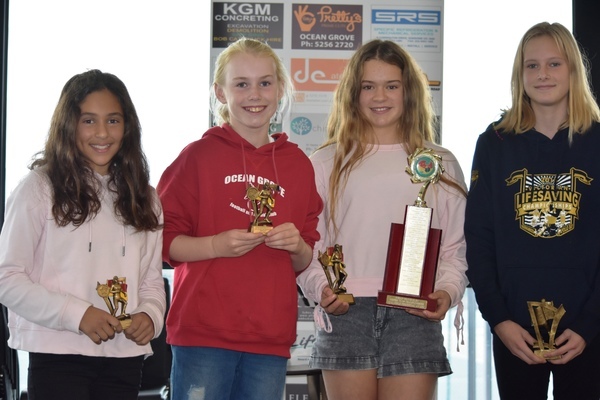 Ocean Grove SLSC is widely considered one of Victoria’s most popular and busiest surf life saving clubs – the recent summer saw more than 100 participants regularly compete at state junior carnivals. Ocean Grove SLSC Surf Sport Coordinator Shane Bird praised former Junior Activities Manager Scott McNaughton – who has worked tirelessly to support the club junior surf life saving surf education development program. Bird said McNaughton’s long-term vision in 2013 helped oversaw Ocean Grove SLSC’s Nippers transformation as the best in Victoria in 2017/18. “I still remember sitting at Warrnambool around the firefox five years ago….and Scotty was saying ‘We can win this thing’,” Bird said in his speech. “I just looked at him and said mate ’you are absolutely mad’ ….’there is no way we can compete with these bay clubs’ (from Melbourne). “’We just simply don’t have the numbers…yes we were great in the water but we were just blown away (in) the beach (events). “Scott had that vision back then five years ago and we just slowly progressed and developed and that was driven from there. 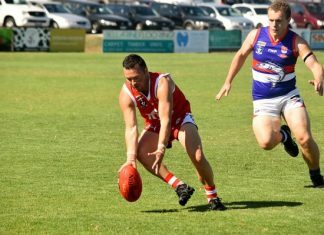 “I reckon Scott took this Nipper program from a bit of fun…and Scott really changed that mindset and started talking professional – and you get down to arrive 15 minutes before training, cans are out and flags are up on the beach. The end-of-season presentation saw winners and placegetters from Under 8s to Under 13s age groups accept their individual awards. Current Club Junior Activities Manager Darren Ball helped organise the day and distributed awards alongside Bird with the support of age group managers. IN other club developments Ocean Grove SLSC senior presentation night takes place this Saturday night 26 May at the Ocean Grove Bowling Club from 6:30pm.